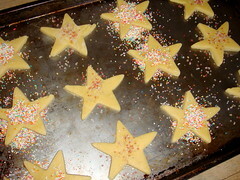 Strictly sprinkles: These are the easiest, roll your cookies, cut your cookies, place them on the tray… pop some sprinkles onto the cookies and gently push the sprinkles into the cookie. We used 100’s and 1000’s, and sugar crystals. Bake at 180 degrees Celsius for 8 minutes. 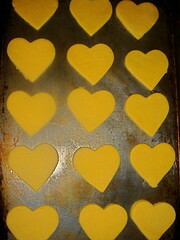 Wonderful Windows: Roll your dough out and use your cookie cutter into any shape you like. 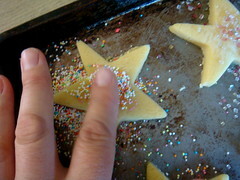 Place your cookies onto the tray and with a smaller cutter take out a central bit of dough. 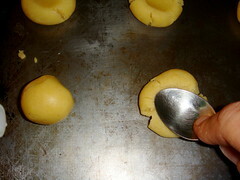 Pop a boiled sweetie into the center and bake at 180 degrees celsius for about 8 minutes. 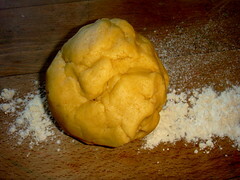 Bits and Bobs:You can pop anything into your dough mixture. 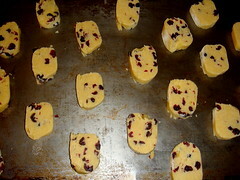 We used cranberries, but really any bits and pieces will do. 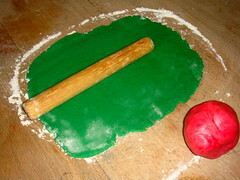 Roll your dough into a tube. 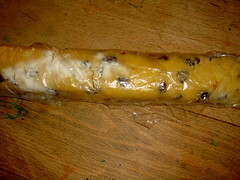 Then pop your tube into some cling film and leave in the fridge for a couple of minutes to stiffen the dough. 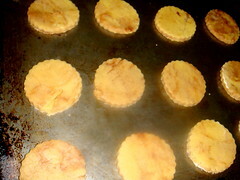 Then slice your cookies into rings, and bake them for 180 degrees Celsius for about 8 minutes. 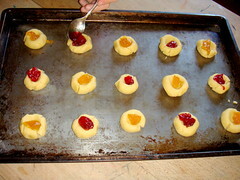 Jumbly Jams: Roll the dough into small balls, make a dimple in each one with a teaspoon. Drop a small spoon of jam into each dimple. 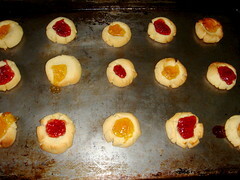 Bake at 180 degrees Celsius for about 8-10 minutes. 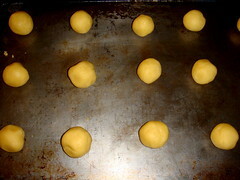 Spiral Circles: Divide your dough into two. 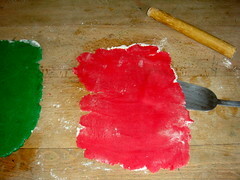 Color each lump with a dash of food coloring. 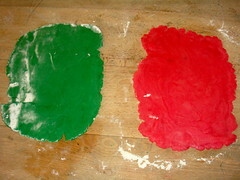 We used red and green for Christmas colors. 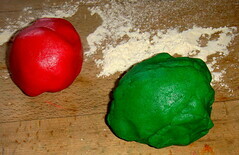 Roll each ball of dough into a rectangle and carefully place the one rectangle on top of the other. 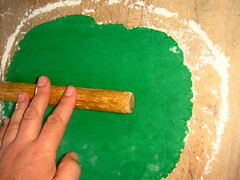 Cut the dough to fit and roll the dough up. 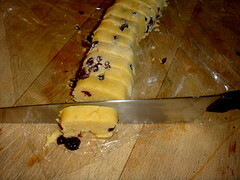 Pop the roll into the fridge for a few minutes so that the dough stiffens up a bit. 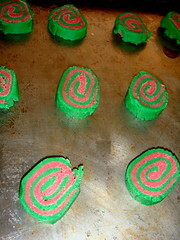 Then slice the dough into whirls. Bake at 180 degrees Celsius for about 8 minutes. 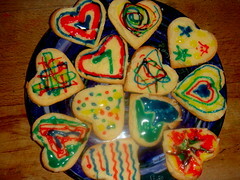 Incredible Icing: Make your typical cookies, we used hearts for fun. 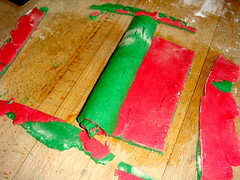 Then using plane butter icing and tube icing decorate to your heart’s content. Chunky Chocolate Creams: There would have to be a chocolate option! You need some cream and some chocolate, and of course your lump of cookie dough. 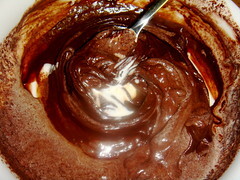 Melt the chocolate carefully, and pop about a tablespoon of melted chocolate into the cookie mix. 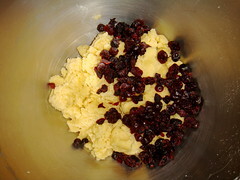 Mix it through, but not thoroughly – leave it a bit marbled. Bake at about 180 degrees for 8 minutes. 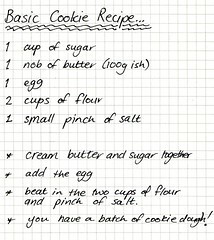 While the cookies cool – add an equal part of cream to your melted chocolate, and stir it through. 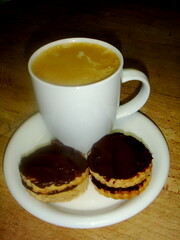 When your cookies are absolutely cool add a layer of chocolate cream between two cookies and a layer on top. Simply irresistible. Get Baking Already. 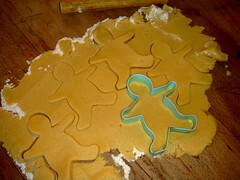 After two solid days of cookie baking we may be a little cookied out… But You All Have Fun! 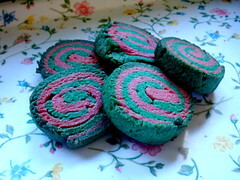 HI, I want to attempt the Window cookies and Spirals for my daughter’s grade 1 cake sale on Friday. Are there any tips I should know, seeing as they need to be sold! Or is it really very simple? Hi there. They really are simple! 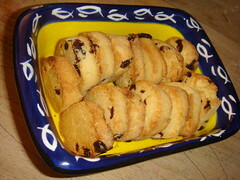 Just use a cake lift for lifting your pre-baked windows onto the tray and leave them on the tray to cool. 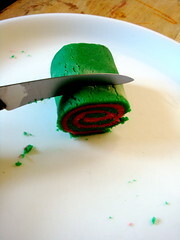 For the spirals, if your layers aren’t perfect rectangles or they break a bit – don’t worry, once you roll them and slice them they look fantastic. – Good luck! 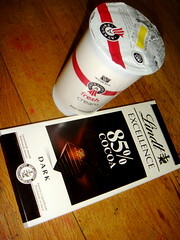 hello i simply love ur blog. Maam could you please tell me where i can buy boiled sweets from? 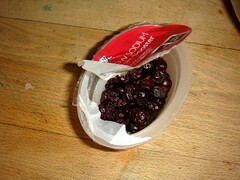 Where do i get the tube icing grom? Please help? 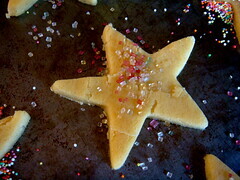 Hi S, So glad you are enjoying our blog! I am not sure where you are from – but we get all the goodies you are asking about from our local supermarket: Pick n Pay… Boiled sweets are hard candy that usually come under the label of sparkles. 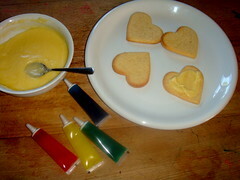 And the icing was from the baking section with all the 100’s and thousands and cupcake goodies. – Hope this helps! hello. 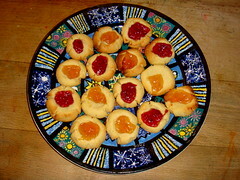 i made these cookies maam and they looked good. the problem was that they were a bit hard. can you help?? 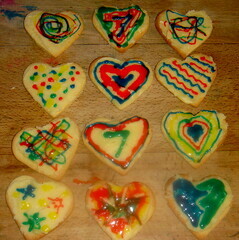 Hi S, Well done for baking!!! 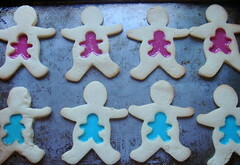 The longer you bake them the harder they become so if you bake yours for slightly less time they should be fine. All the best with your baking!!! 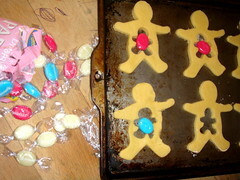 thanks for all the encouragement concerning the baking. i certainly learnta lot from ur site.i just got my 4 yr old report today. she did not do too well. can you help??? how do i teach her at home and make it fun at the same time. 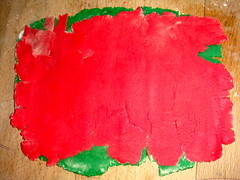 Hi S, There is absolutely no way on earth that a 4 year old can have a bad report – bad teachers maybe!!! I would spend the whole holidays playing and talking and reading – get some stories from the library or borrow then from someone and read them again and again and again!!! Remember to have lots and lots of fun – learning will happen alongside the fun! Have a good day!!! sometimes i feel i am putting pressure on my 4 yr old.is there any fun ways i can teach her the alphabet and nos?? 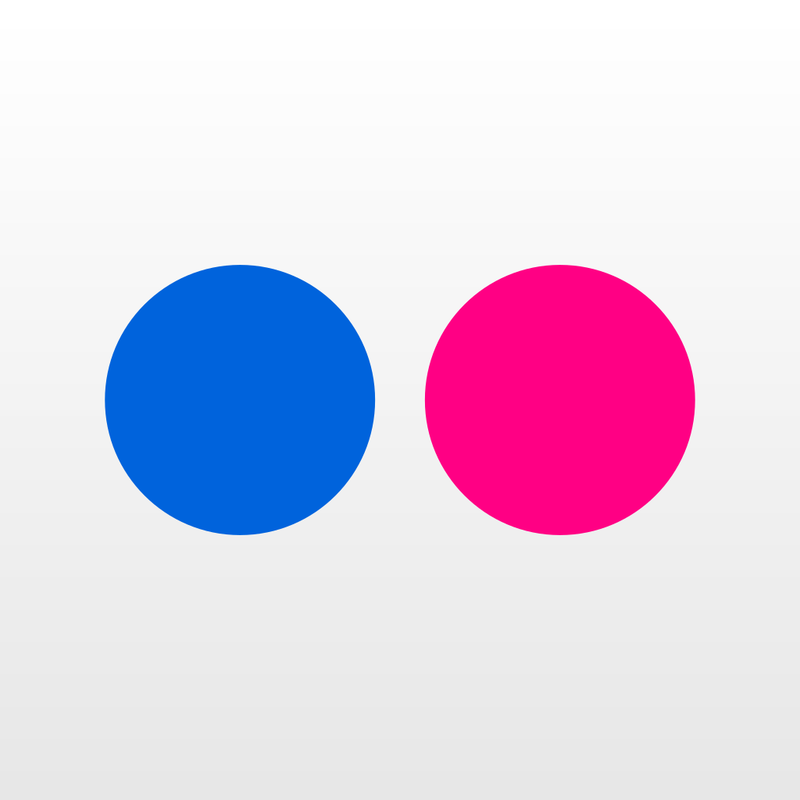 Hi S, Nice to hear from you again. I wouldn’t be too troubled… at age four. The best thing you can do is get a library card and read lots of books together… the library will have books with fun counting, and rhymes and games to spark your little one’s interest. Just reading and learning nursery rhymes together will get your little one inspired!!! No pressure to learn, just fun. The learning will happen!!! Have a good day! Hay Nice to have you stop by Marcia!!! 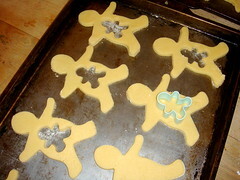 O hope your baking goes really well!!! It is too hot here to even think of it!!! The only thing we are baking is ice-lollies!!! Have a fun day!!! 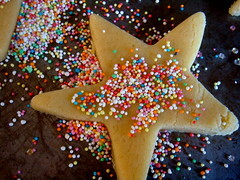 Hi Mandy, So great you enjoy our blog!!! 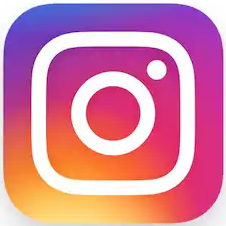 we usually post about once a day and we have a very relaxed weekly schedule of posting … a craft, an outing, some school stuff and so on… and you are welcome to follow our blog either with RSS or email… just click on the buttons on our front page. Hope you find some fun this weekend!!! All the best!! !